This step by step guide to setting up optimized local sites (AND Any New WordPress sites) with optimization done from on site SEO, On Page SEO, backlinks and boosting SEO metrics as well as quick wins in rankings from user behavior signals and backlinks. These strategies below are what i recommend today, and as this is likely to evolve, it will be updated as and when needed. Think of it as a blog post article with live updates. I am currently doing individual articles for each part of the set up and backlinking and ranking factor strategies, there will be links on this article linking to each of those individual blog post articles as and when i do them. What you see here today may have more added to it later as i create more content. This post is made sticky and will remain at the top of the blog at all times and is meant as a guide to help you understand some basics for setting up a site through to backlinking and other ranking factors in the strategies below. There will also be a self updating infographic of the SEO strategies added to the post when i get time. In this guide I will go through how to set up a Local Geo targeted website that is optimized for SEO (most of the strategies for site building, backlinks and other ranking factors can be applied to other sites that are not local geo targeted sites). For the purpose of demonstration i am creating the step by step guide using my brand new marketingalphas.online agency site. The steps laid out below are what i will be doing, and the step by step videos will be added to the member area for the LOCAL SEO Agency Setup Course. However i will include one or two videos in this post too. This is also relevant for the most part for any type of domain or authority site and we will include the relevant videos in both RankAttack Adsense. RankAttack Content SEO and RankAttack Authority courses. I often GIVE these courses away as part of affiliate promotion bonuses. this does not mean that the courses are low value. 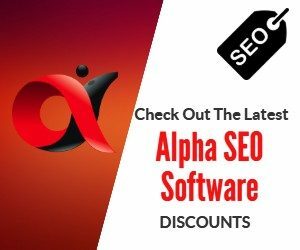 In fact its quite the opposite and one of the main reasons i give them away is because i am using my Alpha SEO software tools which we sell at a discount within these courses. Watch out for future affiliate promotions to get access to these courses as a bonus. I am currently looking for someone to help me with these SEO experiments for Adsense, Authority site and Content SEO courses. If you are interested please let us know via the support desk. You will get free access to the Alpha SEO tools that you need to use, but you have to follow the steps that i lay out exactly as i need them to be done. There are often strategies within strategies and there are no deviations to be taken for us to work together. Is this White Hat SEO or Black Hat SEO? That really depends on what you would term white Hat SEO. For example if you look at the top white hat SEO’s you will see that they spend a lot of time doing outreach to get backlinks, is that white hat or are they manipulating Google by driving initial high quality backlinks to kick start their SEO? I do something broadly similar without the outreach, for example I manipulate backlinks that someone else worked hard for with expired 301 redirects, I will use Private Networks for this project and I will manipulate user behaviour signals to increase dwell time on the site and CTR clicks from the search results for specific keywords that I want to rank for. What both black hat and white hat SEO’s really need is high quality content and I think both groups would agree. Simply because if the content is not high quality then when the real traffic comes from the search engines then their user behaviour signals will have an effect on the search rankings. If for example there’s a high rate of bouncing off a page (high bounce rate) and low retention on the content (either on the specific content or or low dwell time on the site) then Google picks up on this and this affects the rankings. The same applies for click through from the search results too. We can manipulate this very easily with very little effort using tools like Vid Attack Alpha but when you start to rank then you will need to achieve the decent level of click through from those search results otherwise those that have higher click through rates, combined with higher retention time on the content for the same search query will rank above you. Is that more black hat that buying sponsored links under the white hat umbrella or reaching out to hundreds of bloggers asking for backlinks? Honestly, I couldn't care and will let you make up your own mind on that, but outreach will drive traffic too as this strategy gets links from real traffic sites, but again, manipulating your rankings or kick starting your rankings with a few black hat tactics until you start driving real traffic from the search results should also increase your natural backlinks, if the content is good enough. If you agree that user behaviour signals are a major ranking factor then you will also agree that there are very easy black hat strategies we can use to get top rankings fast without using backlinks, which also makes these strategies virtually untraceable. In other words, it cannot be reverse engineered by your competitors like backlinks can. I will be doing this with my agency site but this can be done just as effectively with any other type of local business site. If you already have a brand name in mind then use that, you do not need to go for exact match domains anymore and we have more than enough ways to localize a domain without it looking spammy. When you register the domain it could be a good idea to have it registered in a location that you are targeting as well as hosting in that location too, but honestly that's just a common sense guess there. I haven't tested it, I probably wouldn't test it as I think we have enough to be getting on with, and multiple localization elements will be introduced throughout this guide. The reason I want to use this domain is because i need to include GoogleMyBusiness in a future blog post on this case study and i have to use it from a location i can get GMB verified. This is a new agency site that i am setting up but the case study strategies we will cover can be used for any type of business. What do you want to get from the traffic that you generate? What's the type of site that you want to create? What's the purpose of the site from a user perspective? How will you monetize the site? What keywords have the most traffic that you can target now for quick wins, then for ranking in 2 to 3 months and then longer term. I will use my marketingalphas.online site as we go through this and the reason is that to go through a local seo site set up properly we really need to be able to do the Google My Business optimization stuff too. This is a Pre-Configured WordPress template that I often update and it has evolved a lot of the past few weeks and months, and we now have the template evolved enough that we can now use it for multiple purposes including Local SEO sites, niche sites, blogs, traffic scouting, priming expired domains for a 301 redirect and even for affiliate sites etc. The template has a set of plugins, most of them pre-configured and we migrate this template from the base site it was created on via migrate guru plugin into new sites so that you just need to do some basic tweaks and personalized details like social profiles and its well optimized and ready to start adding content in minutes. The template has plugins like Yoast SEO, Schema, Slimstats Analytics, XML sitemaps (video, mobile, image included), site speed plugins, internal links, social syndication and a bunch of others that remain inactive but cover some great features that you might want to use and these are all plugins i have worked with and use myself such is infographic maker plugin, quick indexing tools, link building, advertising and even a plugin to make a web app from your site for mobile. I cannot go through all the set up of this template here in this post but we will have a separate blog post for it. To get hold of the template you need to be a member of one of one of our courses or a customer of some of our plugins like the new Expired 301 redirection, local biz alpha or wp traffic scout. Let's start by looking at what others are ranking for in your marketplace, and to do this we will use Moz, Ahrefs and Serpstat. We will identify keywords that we can target for quick wins as well ad medium to long term keyword targets. There's an in depth video in the members areas for this. 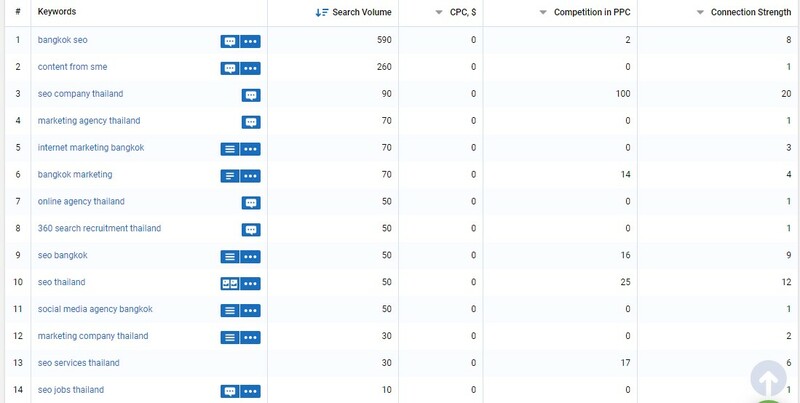 We can dig into each of these competitors and find what keywords they are ranking for as well as search volumes from Serpstat. For the purpose of this article lets just dig into Serpstat suggested and related keywords. This can give us some keywords to target immediately. Now the search volumes for English SEO keywords is not high for here in Thailand so this is possibly why the many foreign SEO guys over here (mainly in Chiang Mai for some reason) do not seem to be doing local SEO. Then again i have been here for seven years myself and never went near local SEO as i have multiple SEO softwares to market constantly that bring in thousands of new customers and even more subscribers every year. But for what i will be doing with set priced offers for set tasks and services, and local SEO training in Pattaya and probably Bangkok, then the volume is less important than the commercial intent of the search. Regardless of the volumes here, the process is the same wherever you are, and if you watch the video in the Local Agency Setup members area then you will get a deeper insight into a few tweaks, black/grey hat twists and tricks we can use at this point to take things much further and fast. To not leave you hanging on the last point of some strategies we can use eevn with low volume keywords as shown above. I use a tool within a couple of my Alpha SEO suites (Alpha networks desktop tool and Live Stream Alpha) which we named the URL finder. This is such a brilliant little tool that we will make a stand alone version of it and probably do a JVzoo launch with and build it out more at the same time. Watch out for that as this is a fantastic tool and if i take it further with the features i have mapped out for it then its a serious SEO tool in the making but even as it is now, its a great tool doing exactly what its supposed to do and at speed. This little tool has found me some seriously good expired domains that I have purchased with 10 bucks price point again and again. What we find with this tool is expired domains with relevant backlink profiles, often not spammed and sometimes with traffic too. So i rank a quick test and within 2 minutes we have found broken links in YouTube descriptions and identified a bunch of available expired domains, lets take a look at the top one. 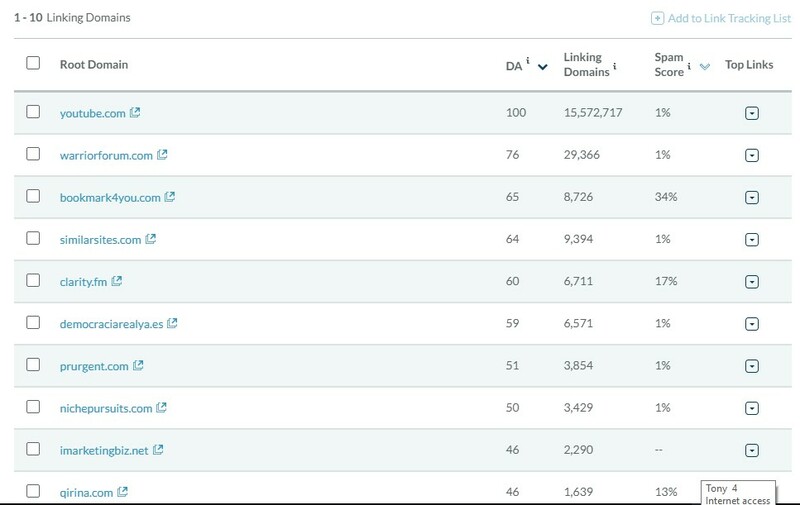 As you can see we have domain authority of 15 and when we did deeper into Moz to find its referring domains this is what comes up (i used moz for spam score metrics). As you can see there are some decent sites linking in as far as relevancy and also alink from Spencer's NichePursuits blog but a couple of high spam score domains too. Its not enough to put me off and this would make either a decent PBN site to link out from for my agency site to get a quality, relevant link or even redirect its top pages to a deep link within my agency site. After just running this tool for 4 or 5 minutes i have identified 3 possible domains for PBN sites and one for whole domain redirect (not the one above). 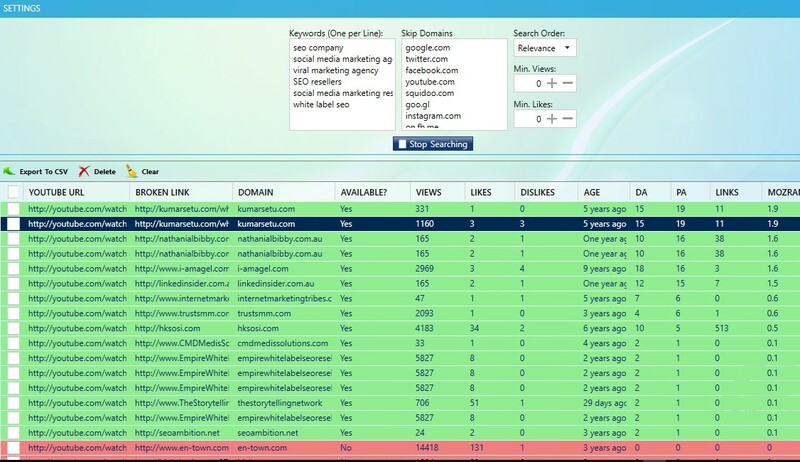 The beauty of this tool is that you can run thousands of keywords in the search and let it run for hours, and it's surprising the amount of domains that i pick up from here that i never seem to find the the mainstream domain finding tools. Of course you need to go and dig deeper into the spam filtering, where the sites linking to it are getting links from and other bits but when we get teh stand alone version fot his tool done it will do a lot of tis for us with traffic light signals based on teh algorithm that we build into it on the back end. Its also great for finding expired twitter accounts too often with hundreds of referring domain backlinks and never been touched before by an SEO. It even found one of my old domains that i had completely forgotten about that has some decent SEO metrics too. Looking at the ratio of referring domains to teh total link count its a healthy domain for rebuilding. Most of these links came from a campaign that i ran back in 2011 called "10 Days to Page One Challenge" which created a buzz at the time, and those that took part have linked into the domain. One of the strategies that i like to use is find an authority site within a specific niche and run all their ranking keywords through the url finder too. In this instance i ran Bruce Clays ranking keywords (found using serpstat) through the URL finder and found (and bought) from that 6 domains that were high quality, spam free and perfect for PBN sites and a few more that i will use for expired 301 redirection experiments. You can read about the exact strategies for 301 redirects using expired domains that i am running too. These are being built in several ways. With easy blog networks we build quality private blog network sites and we use the url finder to find relevant domains. We also use the brand new 301 Expired Redirection tool to create content into WordPress from what was found on archive.org. Next we will build some social bookmark and video sharing sites in Alpha networks with expired domains and also some HTML blog networks in Alpha networks system again, and these are going to be used as second tier and possibly for 301 redirects too. This gives us a mixture of private site backlinks with 4 different types of sites and all on class c IP addresses. Note that Alpha networks is using cloudflare to mask the IP and this is why it will be used more for second tier linking strategies. Again there are strategies within strategies here and most of this will be covered in the videos and added to the RankAttack PBN course which is due an update in the next few weeks. Again using the URL finder tool we can find tons of relevant expired domains and some with traffic and without spending 60 to 200 bucks a month of expensive memberships to find domains suitable. This strategy is very much in testing phase right now and I don’t know how effective it will be or what is the exact strategy that gives us the most impact. I have a blog post about the 301 redirect seo strategies that you can follow. This is just some basic common sense quick win type backlinks. Things like bookmarks, infographic site and doc sharing links, image links, relevant forum and social platform links etc. Most of this will be done using some fiverr gigs or from sites similar and we will also build some authority links (wikipedia, newspaper links, medium.com and that type of stuff) as well as set up some 2nd tier branded IFTTT syndication. We will use three types of press release seo strategies with this. 400+ links press releases which we will buy on konker and MassMedia SEO press releases which we will use as second tier links to videos and buffer sites that link into specific pages and posts on the local site. MassMedia Also has some other quite interesting SEO stuff happening in the background too as well as able to generate 200+ links per press release. Again there is an on going blog post on this strategy and when I mention on going what I mean is that part 1one is published and as I do case studies we will publish the results form the various strategies that I am testing. This will be pretty basic stuff and I'm not looking to make this more complicated than it needs to be and for good reason. 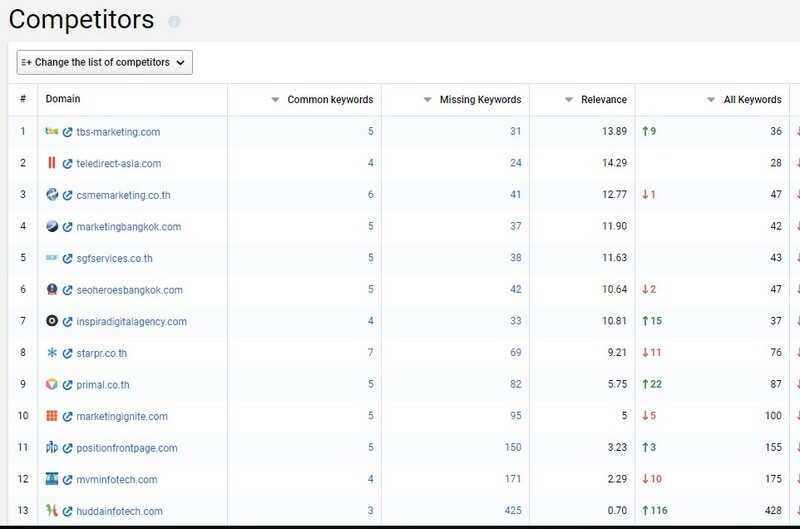 We have enough in our locker to handle local seo competition in my opinion and most importantly I am not expecting it to be difficult ranking in English for a Thai marketing service and I do not want to over optimize. However the strategies used will be high impact and able to do at speed and also scale as needed if the competition is heavier than expected..
Again I will be using some gigs on fiverr and konker and will be adding some reverse engineering of competition to find opportunities. This will be a job that I outsource 100%. There will be some contextual citations without links and this will be done in high volume too using some of the Alpha SEO desktop tools like Video Synd Alpha and the new Backlink Alpha. This is as simple as looking at your competitors referring domains and going to their top pages and seeing who is linking to them. I will be using ahrefs and moz for this and probably SErpstat too. We will compile a list of backlink opportunities and segment them into types of links (gateway links, free slinks, comments, directories, blogs and local sites etc) and then proceed to go and get as many links as we can. Again this will be 100% outsourced. 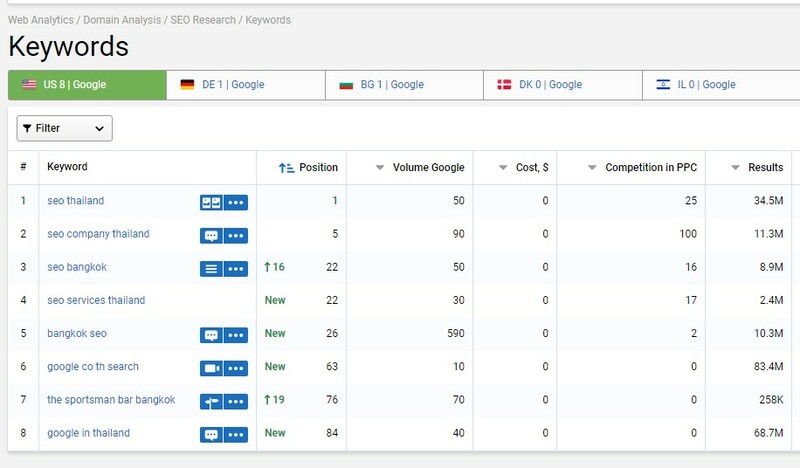 This is the next step from reverse engineering competitors links.What we are doing here is identifying backlink opportunities not being used by competitors. As example you will often find local newspapers have comments sections and rarely get comments from your competition, these are not the highest value links probably but they are coming from authority domains in your locality . Lead magnets are crucial to what we are doing here as they are really just content upgrades on sticky high quality content that we will be creating. I need the high quality content to be something that people want to save and keep and a content upgrade like a chrome extension checklist, infographic etc is perfect for building your audience, backlinks and social shares and if you add a combination of this with PDF download of the blog post then you increase chances of all 3 benefits. At this point I will be using the miniscrapring strategy for speed and will also do this at extremely low cost. For example the last time I did this I got over 3000 subscribers for a chrome extension that cost me 50 bucks to have made. YouTube ads and we will use the youtube ad placement findet tool in Traffic SCout Alpha as this pulls in thousands of ad placement opportunities. Facebook Lead ads as we can automate adding the leads into multiple autoresponders and a black hat strategy which I will cover when the time comes. This is the initial goal of any website that I create and without this your gonna work really hard trying to get fresh traffic in non stop. Building an audience that you can remarket to via push notifications, email marketing, or even retargeting ad campaigns at low cost will ensure you start to build familiarity, social shares, backlinks and traffic for every new piece of content that you do. Not only that but this is where the money is made for most marketers via promos for their own courses, seminars, webinars, software tools and affiliate marketing promotions. The main goal for my local marketing site is to outsource services that i identify and map out and make a profit on it. To do this there needs to be consistent monitoring of the site, any contact forms being filled in with enquiries and this means that there has to be a competent assistant to do this for me. On top of outsourced services we will also be running monthly live events or workshops where the attendees will leave with something tangible like a well optimized website, a facebook business page setup for consistent posting, a google my business page optimized or an optimized YouTube channel with a business commercial video. The goal here is to run one workshop per week and each different workshop monthly and have a minimum of ten attendees paying $500 each. That would bring in minimum of $5000 per week revenue and over 50 weeks of the year then it means $250,000 per year. Here’s the magic of this, once you have set up a system for each type of workshop then it's just rinse and repeat..
To drive traffic then the combination of email marketing from your list building, Facebook and YouTube ads ought to be enough to get minimum of ten attendees per week and the goal of generating 250k revenue per year just from this seems less daunting and very achievable. There are also multiple upsell opportunities with the workshop monetization that could easily double this amount such as courses, templates, software tools, private coaching and more.